Your wedding day is one of the happiest days of your life – so why let it end there? Take that joy with you and have the perfect honeymoon that you’ve always dreamed of. Your honeymoon is all about luxury and you’ll be sure to get that at the Atrium Prestige Thalasso Spa Resort And Villas in Rhodes. Rhodes is by far the largest of the Dodecanese islands, boasting beautiful beaches, wooded valleys and ancient history. Whether you arrive in search of buzzing nightlife, languid sun worshipping, or diving in crystal-clear waters – or embark on a cultural journey through past civilisations – you can be sure to have the time of your life. The hotel sits near to the villages of Lindos, Pekfos and Lardos. To the south you can find Gennadi, Kiotari, Lachania and Prasonisi, which are famous for sailing, wind and kite-surfing enthusiasts. To the north, visit the fishing village of Haraki, village of Archangelos and beaches at Tsambika, Afandou and Faliraki. A local bus stop is 400 metres from the hotel which is a great way to explore the sights of Rhodes. At just 49.5 miles long, you can see as much or as little of the island as you wish. 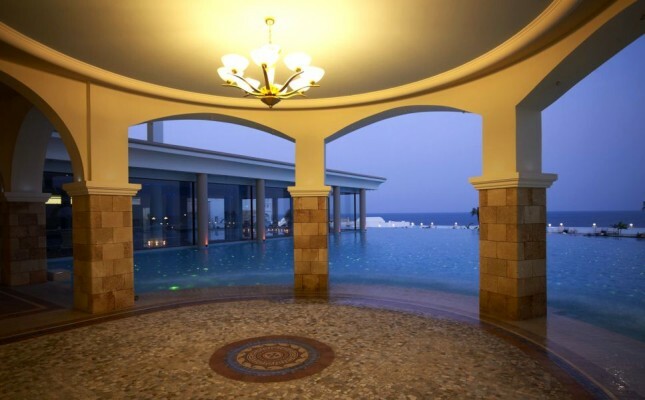 The Atrium Prestige Thalasso Spa Resort and Villas overlooks Lachania beach. With 250 luxury guestrooms and suites, along with over 60 private pools, this accommodation truly does offer luxury like no other. Stylish rooms and suites offer views of the Mediterranean Sea and the hotel’s beautiful grounds. The sea view rooms include a stunning wooden pergola leading to a private heated pool. The rooms are magnificently furnished with handcrafted furniture and marble-lined bathrooms with Jacuzzi baths. The Thalasso Spa Centre will offer you a spa experience like no other. It boasts an extensive lists of therapies, as well as a heated pool, hydro-massage seats and aqua-beds. Treat yourself and really give yourself that luxury honeymoon that you’ve always dreamed of.